Did you know that there are more than 40,000 varieties of rice? 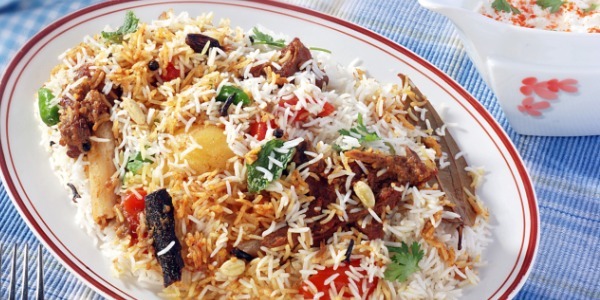 Rice recipes: Rice is a staple diet for most of India. One of the most versatile ingredient, it can be cooked as an entree, mains or a dessert! Did you know that there are more than 40,000 varieties of rice? In many cultures, rice is considered to be an auspicious symbol of life and fertility. Interestingly, rice is the most important food crop of India that covers around one-fourth of the total cropped area, providing food to about half of the population of India. Japanese believe it is important not to waste rice. In fact it is considered rude to leave rice in your bowl! Rice is one ingredient which can proudly claim to belong to every cuisine. How many experiments have you done with this chefs' favorite friend? 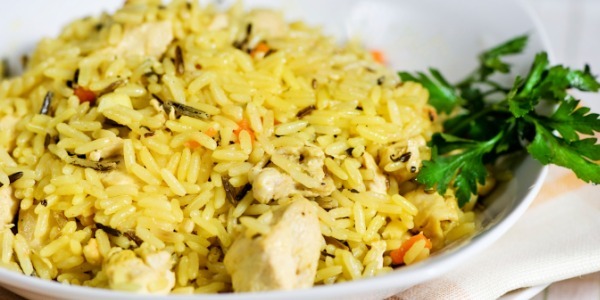 Well, we have listed down some amazing rice recipes like murgh koftey ki biryani, handi biryani, garlic and egg fried rice, Kashmiri chicken pulao and so much more. If not, it's never too late! 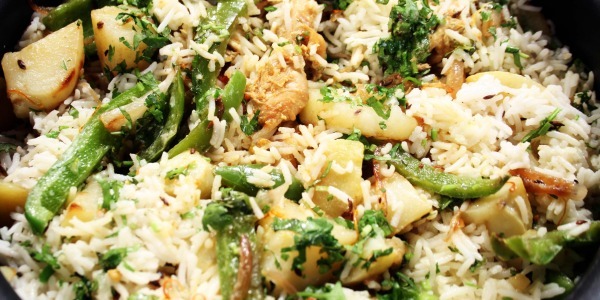 We bring to you a selection of 13 best rice recipes from our kitty. CommentsQuick tip: Do not stir while the rice is being cooked, it makes the rice lumpy. Koftas made with spiced chicken and cooked with basamati rice to make a fragrant biryani. Served with a saffron scented, garlic raita to compliment the flavours. A true blue Awadhi dish best suited for a regal feast! 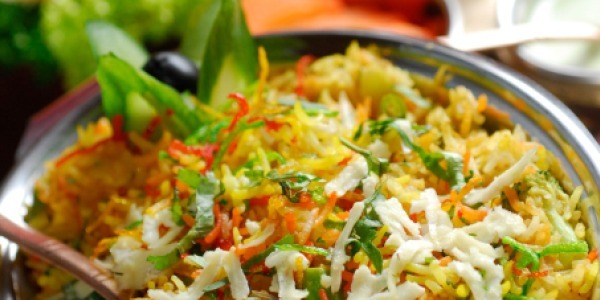 Slow cooked rice with layers of vegetables, a variety of masalas and chicken. A beautiful melange that is sure to win many hearts at the dinner table. 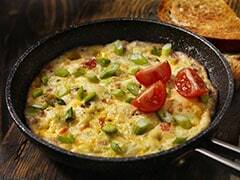 A fast and flavour-packed recipe to ward off those untimely hunger pangs! Rice tossed with the goodness of egg, the burst of garlic and a few oriental flavours. Dig deep into layers of rice, the crunch of the aloo lachchas, fleecy paneer and the tang of tomatoes. All these, topped with some rustic spices, together create an explosion of flavors for your taste buds. An aromatic chicken pulao bursting with deep flavors of warm whole spices, Kashmiri chillies, sweet raisins and desi ghee. 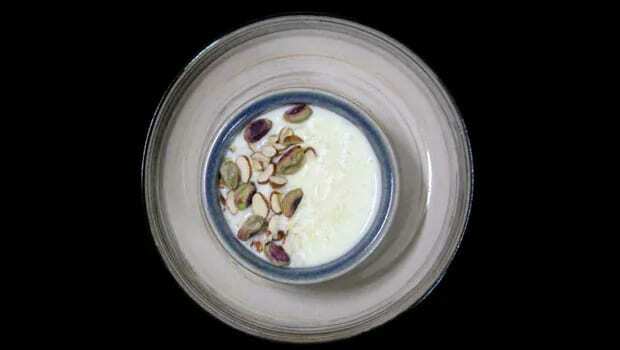 A sweet preparation made with Basmati rice, nuts, saffron, milk and cream. 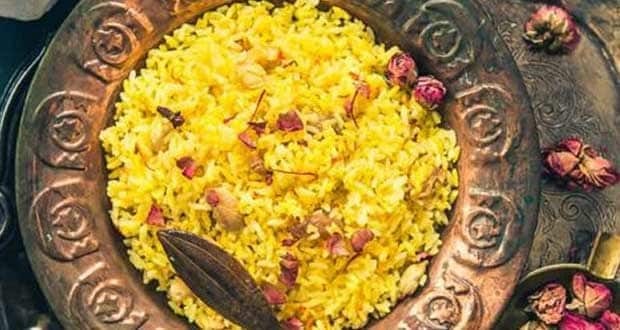 Basmati rice is cooked well in saffron, nuts and cardamom. Laced with a mix of sugar and milk, this pulao is amazing delicious. 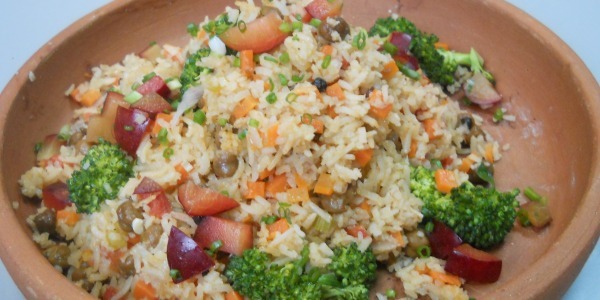 For the diet conscious, a healthy recipe with brown rice, olive oil, broccoli and plums. 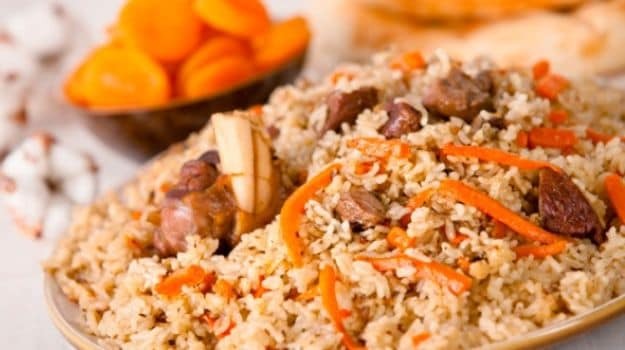 A pilaf is a a Middle Eastern dish in which the rice is cooked in a seasoned broth (stock). 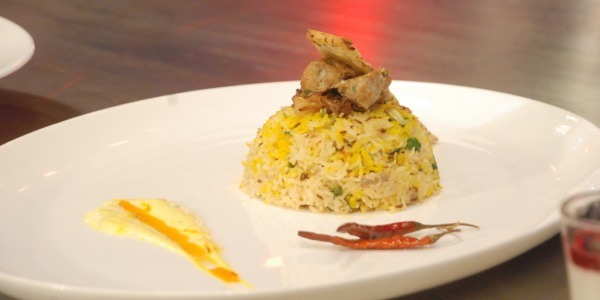 A wintery delight, mutton chunks layered with saffron induced rice and cooked dum style. If you are a mutton lover, this is surely a dish that you shouldn't miss. 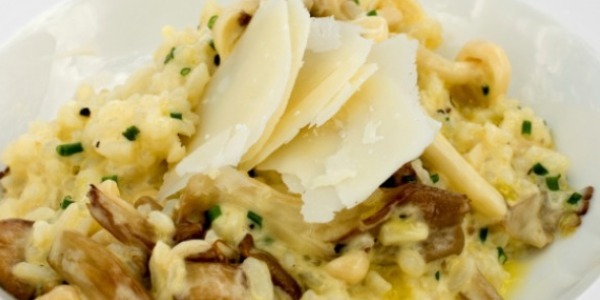 We bring to you a steaming plateful of buttery mushroom risotto. This buttery risotto is all you need on a gloomy weekday when you don't want to cook anything major. 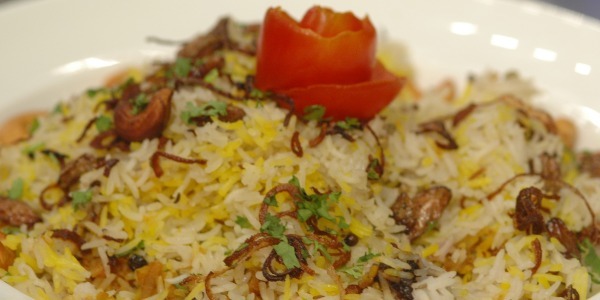 Traditional Iranian style biryani layered with marinated fish and fried onions. Topped with raisins and cashews. The aroma of rose water will leave you wanting more. 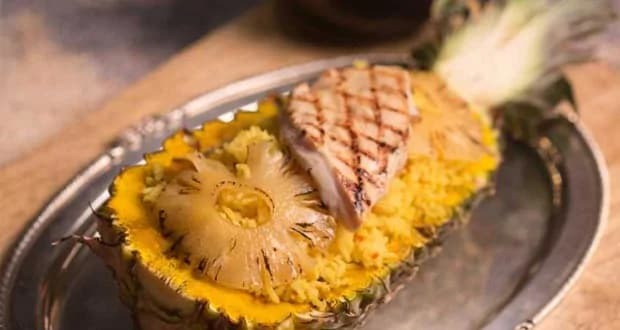 The magical combination of sweet pineapple chunks and hot Thai spice is one that you cannot miss. All you need is coconut milk, rice, pineapple chunks, curry leaf, onion, Thai ginger, and melange of spices. Also known as Mishti pulao, this dish is Bengali festive delight that is prepared during auspicious occasion of Durga Puja or Bengali New Year. 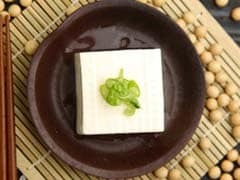 However, you can enjoy its flavours anytime and anywhere. 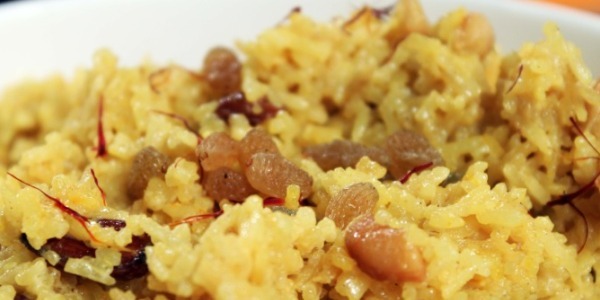 A fragrant rice dish with the goodness of cashews and raisins has a nice sweetness to it that you cannot miss. This one's for all the sweet lovers. It is made from rice and milk along with sugar, makhana or jaggery. It is prepared during special occasions and is similar to rice payasam prepared in South Indian households. 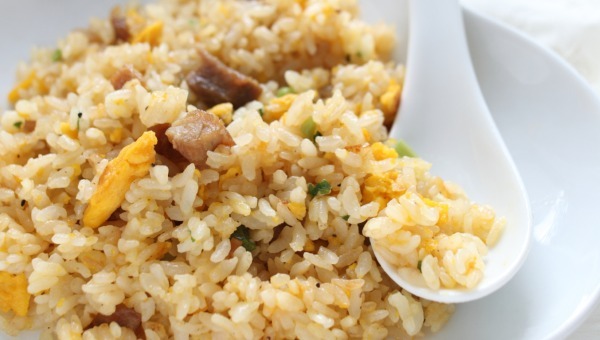 Do let us know, which one of these 13 best rice dishes you loved in the comment section below.